Last weekend my wife suggested getting a refrigerator for the office. I went to Sam’s Club and got a Whirlpool. 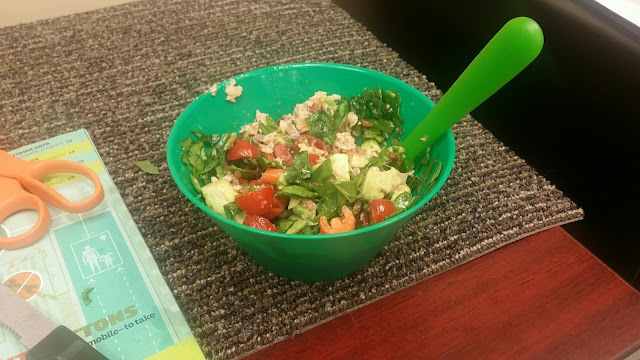 So now I’m making salads in my office. Today’s salad has spinach leaves avocado small tomatoes carrots salmon and Rachelle special dressing. There is also some relish made from cranberries that Rachelle’s brother Dwayne made for Thanksgiving its really yummy.